Labor Day Weekend, the perfect time for a little family getaway! With a few weeks of school underway I could tell that our family needed a break from our normal routine. And our family happy place? Sanibel Island. 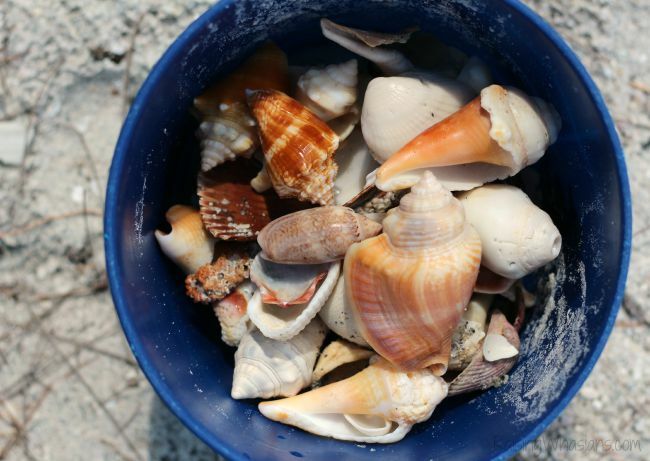 Sun, sand, and shelling, it had been years since our family had traveled to one of our favorite Florida locations. 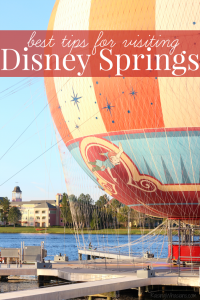 Our bags packed, we headed to our Florida home away from home. 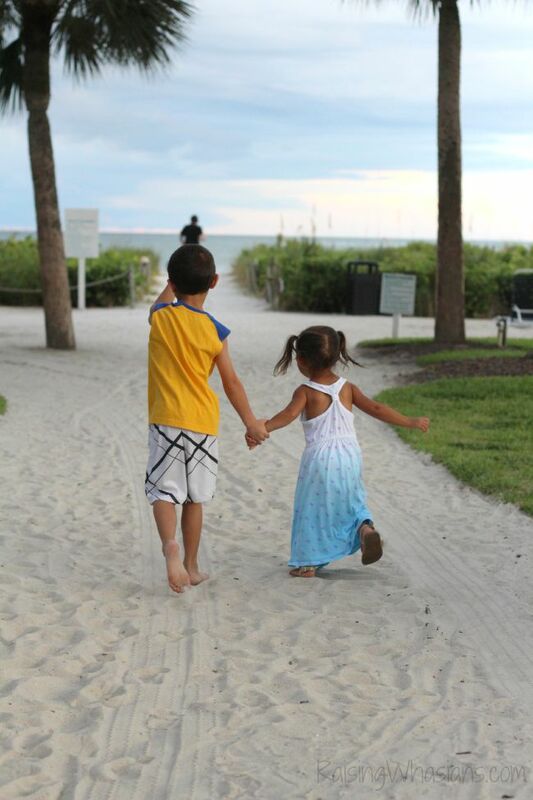 Check out our top things to do at Sanibel for the perfect family weekend and how we capture the Joy of Travel! Found a few sea friends, including live conch, hermit crabs, fish, sand dollars and sea sponges! And played in the warm Florida waters. 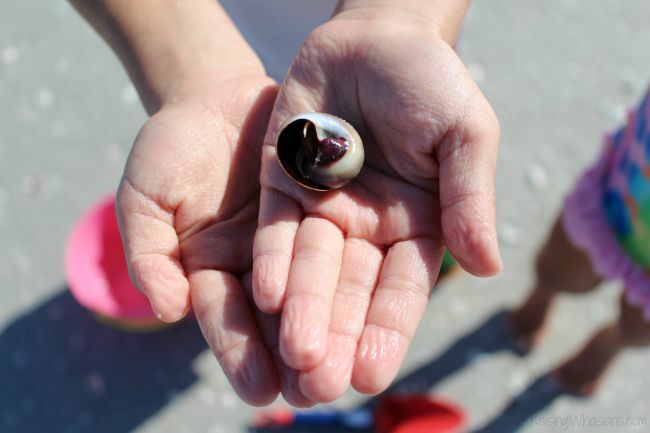 Every Sanibel Island adventure needs to begin and end with shelling. 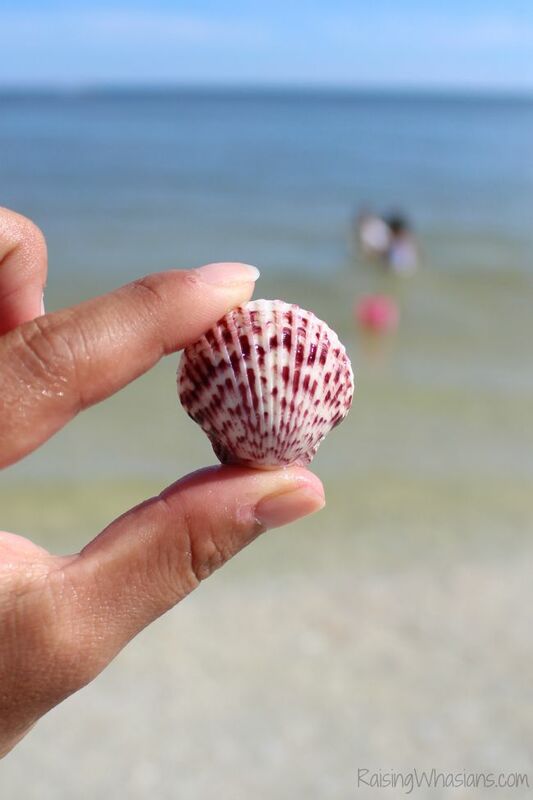 Famous as one of the best places in the world to find beautiful shells, Sanibel Island is covered in thousands and thousands of shelling treasures. 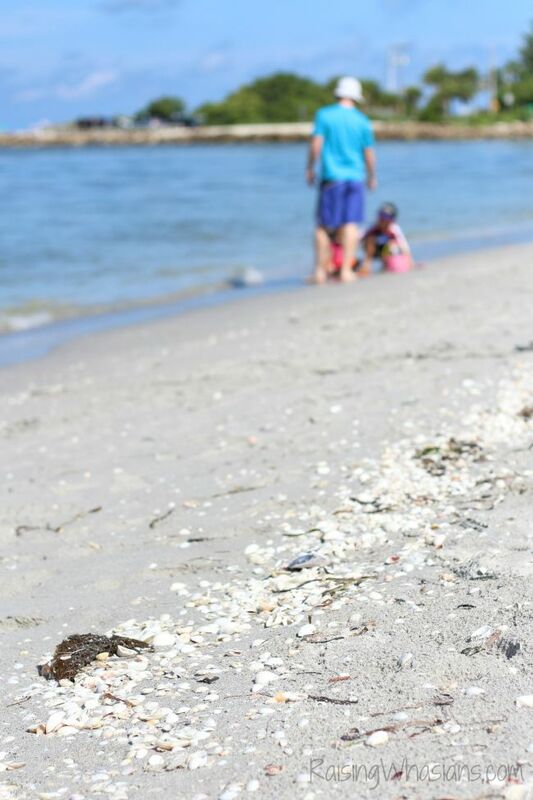 A perfect keepsake to your family Sanibel getaway, our family’s favorite shelling spot is right at Blind Pass Bridge between Sanibel Island and Captiva Island. Here we found buckets full of conch shells, colorful scallops and many different kinds of shells we can’t find on our east coast beaches. Turn left off of the causeway and take yourself to the very tip of the island. There will stand one of the tallest attractions on the island. Made of steel, this more unusual lighthouse is a draw for families around the world. 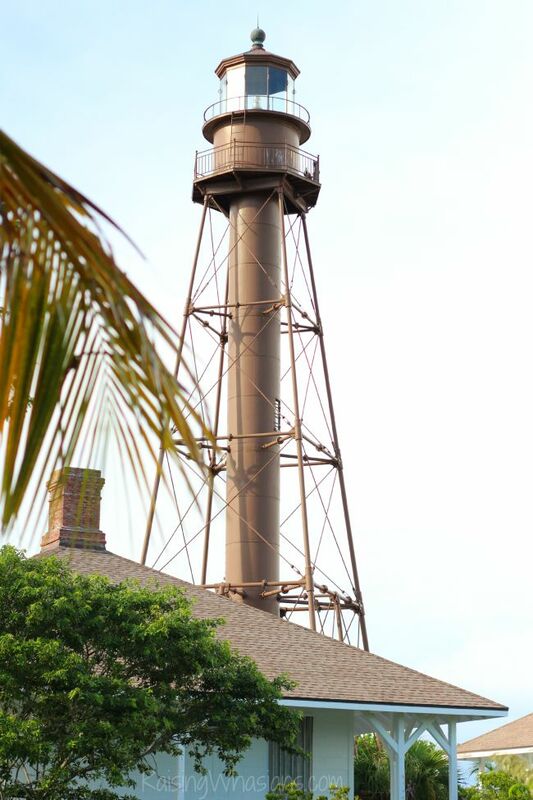 The Sanibel Lighthouse is a great place for families to explore rich Sanibel history, perched on Sanibel Lighthouse Beach Park. You’ll find that cars do not rule the roads here in Sanibel Island. Bicycles do. 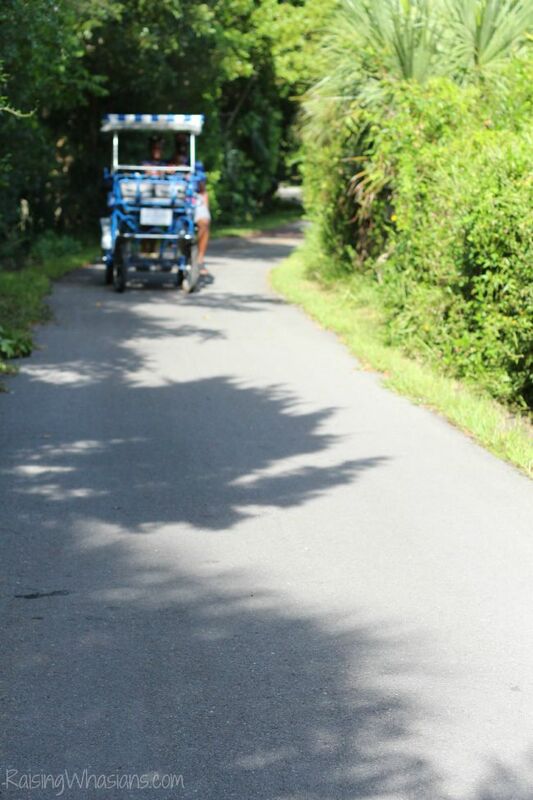 Winding bicycle trails and clever family sized vehicles make pedaling an adventure across this small island. A charming town and natural wildlife preserve offer so much scenery on your tour across the island. You never know what you may see! 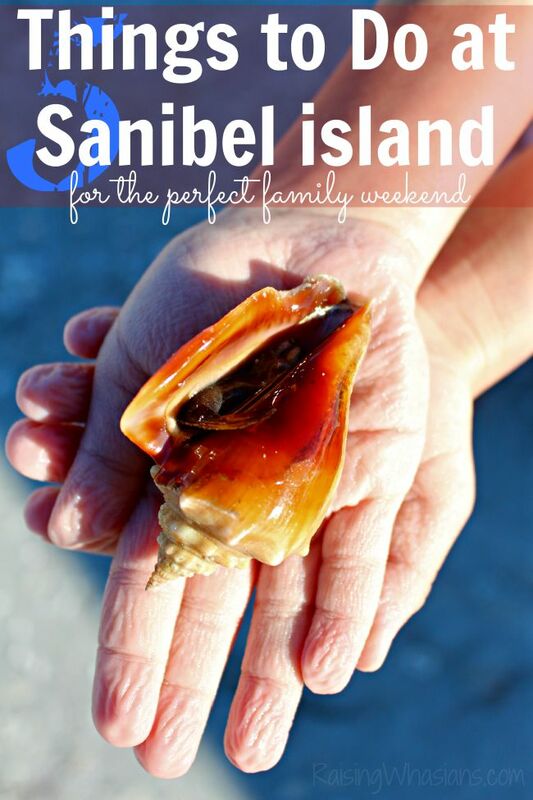 The best way to take in the amazing family activities on Sanibel Island? Staying on the island, of course! 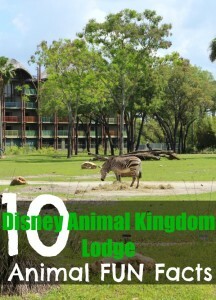 But looking for a family-friendly hotel can be a stressful task. That’s why we trust the Holiday Inn hotels. Tucked directly on the beach and only steps from the middle of town, the Holiday Inn Sanibel was the perfect location for our family getaway. With everything geared towards a family-friendly atmosphere and a name that I trust, I knew that our vacation was in good hands. I cannot emphasize enough how much we appreciate those three words. Family vacation prices seem to be on the up and up these days. With the famous Holiday Inn hotel’s Kids Eat Free program, our kids can enjoy a delicious meal that’s catered just for them with a price that I love. 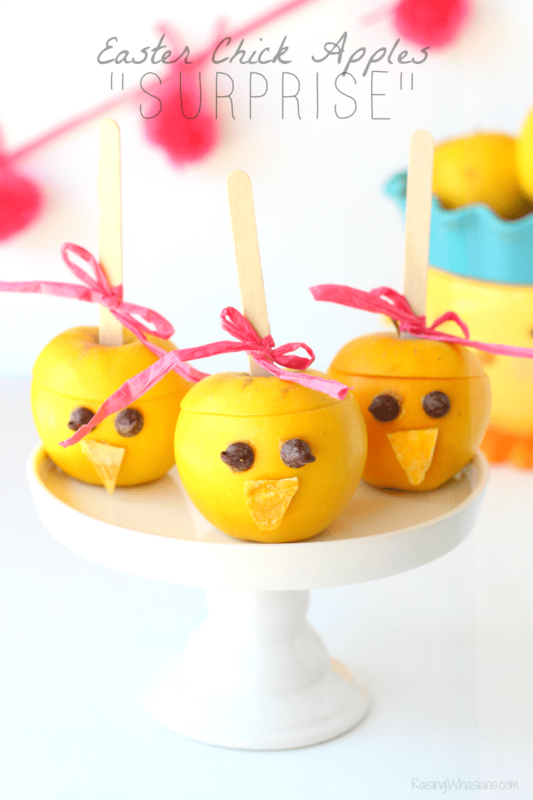 BONUS, they enjoyed these sweet finger puppets with their meals! 🙂 The Holiday Inn brand Kids Stay & Eat Free Program is something I look for every time that we travel. It is such a relief to be able to focus our vacation efforts on FUN instead on stress. One of my kids’ favorite words. 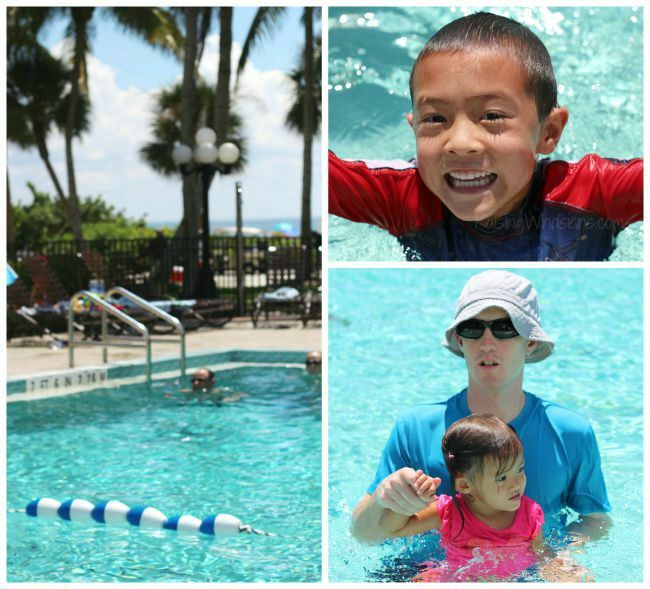 The gorgeous Holiday Inn Sanibel pool overlooks the inviting beach. And with a poolside Grille and Bar area, we didn’t go hungry either. Play time at it’s best, a seaside breeze and sounds of the ocean waves made this pool area one of the highlights for our family. Want to get to the Sanibel beach quickly? All we had to do was walk outside. Having direct beach access from our hotel is so important for our family. 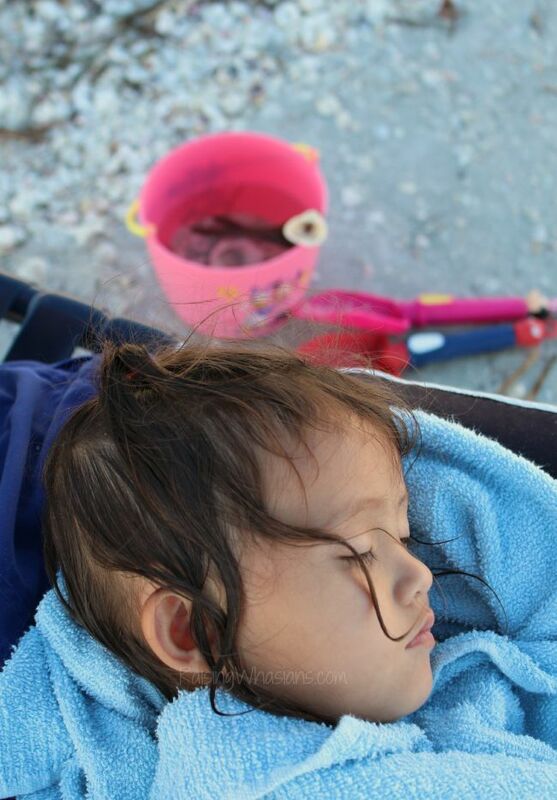 And with Holiday Inn Sanibel, we were only footsteps away from another family beach adventure! Our room had everything we needed for a relaxing family vacation! Plenty of towels, fridge, microwave, table and chairs, comfy beds, 2 sinks and a big shower/tub for the kids’ baths, we felt right at home. Check out my video tour of our room so you can get a first hand look at our stay at Holiday Inn Sanibel. 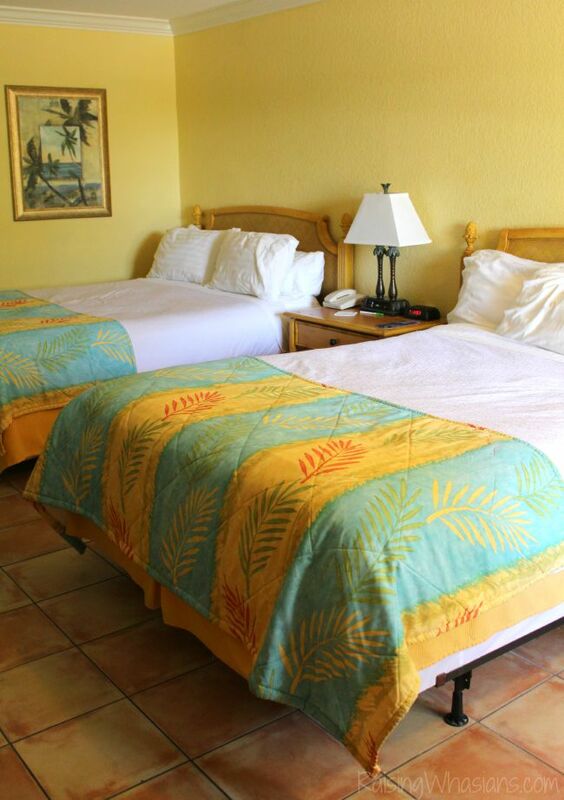 Comfortable amenities, kid-friendly atmosphere and family memories. We found the #JoyofTravel. Our family’s Sanibel Island Weekend Getaway was perfection! Let Holiday Inn hotels be your next family-friendly vacation destination! From relaxing weekend getaways to exciting family adventures, we rely on family-friendly hotels like Holiday Inn brand to be our home away from home. Be sure to follow Holiday Inn hotels via Facebook, Instagram, Twitter, YouTube and Pinterest for more family-friendly getaway ideas, travel tips and more! 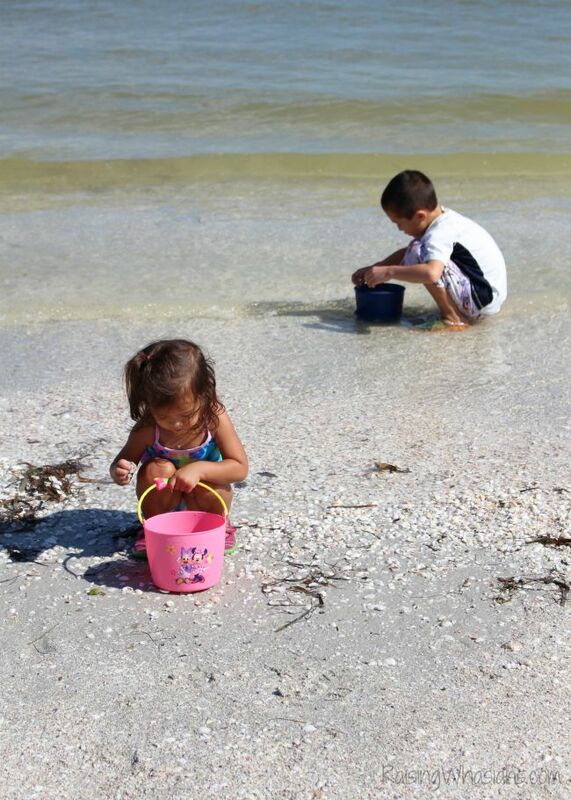 What would your family love to discover on Sanibel Island? I have never heard of Sanibel before, but after reading this, I want to book a trip there immediately. It looks gorgeous. Sanibel is such a beautiful place. We’ve only been there once, but it was a trip we’ll never forget. I’d love to go to Sanibel with the family. It’s so beautiful there. I’d love to hang on the beach all day with the kids and the hubby. This looks like an awesome place to take a vacation. What is crazy is I have never heard of Sanibel before but now I do. Thanks! I would love to visit Sanibel one day. Looks like lots of fun for everyone. Sanibel is such a nice beach. We do a day trip down to Sanibel at least twice every summer. Sanibel Island is beautiful. I love being able to find and collect cool shells. Wow my family would love to just see the beach. We haven’t in so long, and my kids truly haven’t seen a real beach (or the ocean ever!) this looks like a lovely get away! They’re having so much fun! This looks heavenly. I went several years ago but I need to go back. My MIL winters in Florida and whenever someone visits they go to Sanibel Island. I loved finally seeing photos of it. I’ve heard about the shells but didn’t believe they would be so pretty! The photos of the kids walking to the beach are adorable. I would love to go there and have the children along. We love the beach but it is so cold up north on the coast! It’s been a long time since I was there, but I remember it being beautiful! You can’t go wrong with a beach weekend! What a beautiful looking place to visit! Shelling is one of my favorite things to do while at the beach! You got some great ones! I would love to visit Sanibel one day. The beach looks beautiful and it looks like there is lots to do. 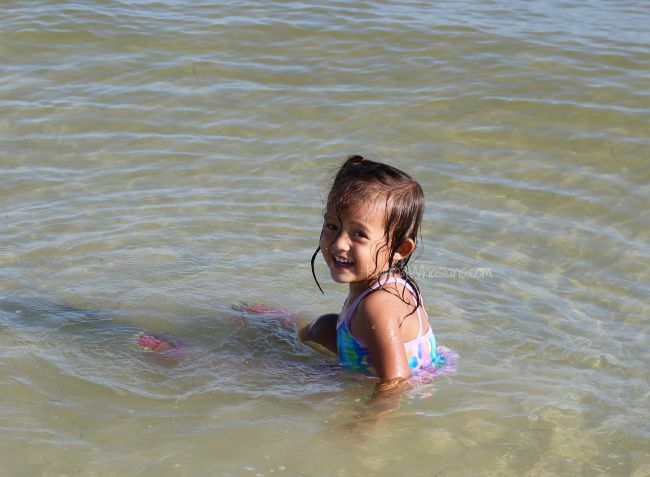 We are a family of beach lovers, so anything on or near the water is always a win with us. 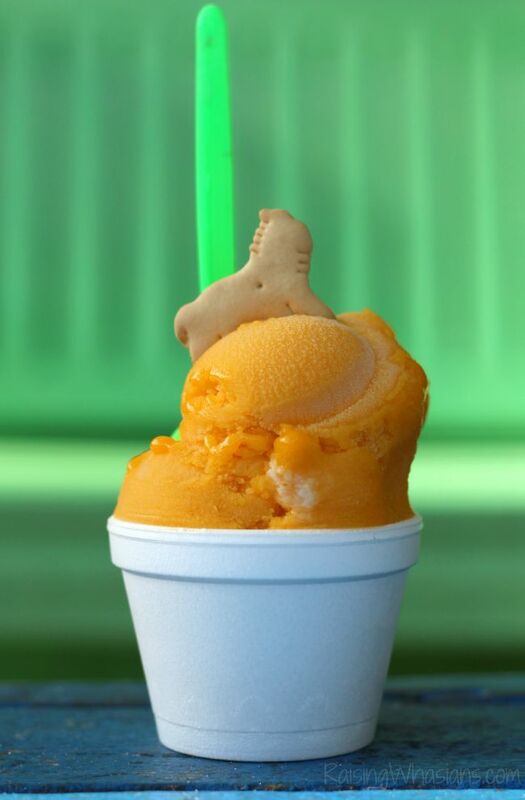 My kids would get a huge kick out of all the shells around and that ice cream looks especially wonderful too! I’ve never been to that part of Florida. Looks like they’re so much to offer for young families. This looks like it was an amazing getaway! I am impressed with how clean and welcoming the hotel looks. Kid-friendly amenities really do make all the difference. I would love to go to Sanibel. This sounds like heaven. Florida is on my bucket list. Thanks for a great review! Sanibel looks like a fantastic place to get away for the weekend. My Daughter loves to collect sea shells. The room looks very comfortable. It looks like so much fun! I could definitely go for a beach day right about now! We stayed at Holiday Inn a lot when the kids were little. 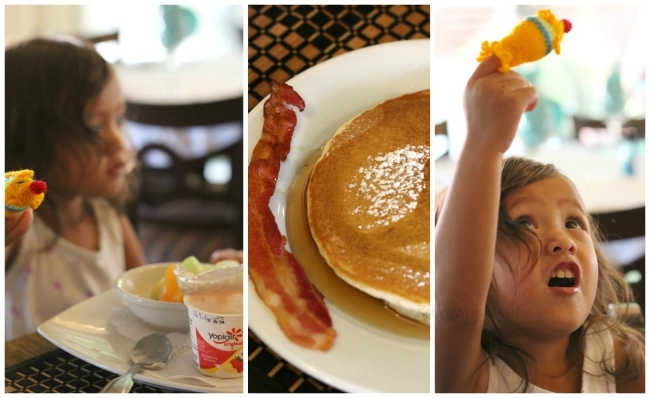 Kids eat free plans and the cleanliness and friendliness of the at the hotel are primary reasons. Sanibel Island is a fantastic place to visit. You captured the essence of it with these great pictures and descriptions. A Scenic Bike ride sounds like a wonderful way to see the area! I love that kids eat free, especially with four kiddos. It looks like you guys had a lot of fun. I love taking naps on the beach! This does sound like a perfect weekend. Wonderful place and fun pics. Love hunting seashells. I live 20 minutes from the beaches off Pinellas County but always forget about Sanibel. It would be so nice to go to a beach that actually has shells and creatures. We don’t really have that any more. I’ll for sure keep this in mind for the future. Great getaway! I’ve never been to Sanibel, Florida before, it looks like a beautiful place to visit. Thanks for posting! 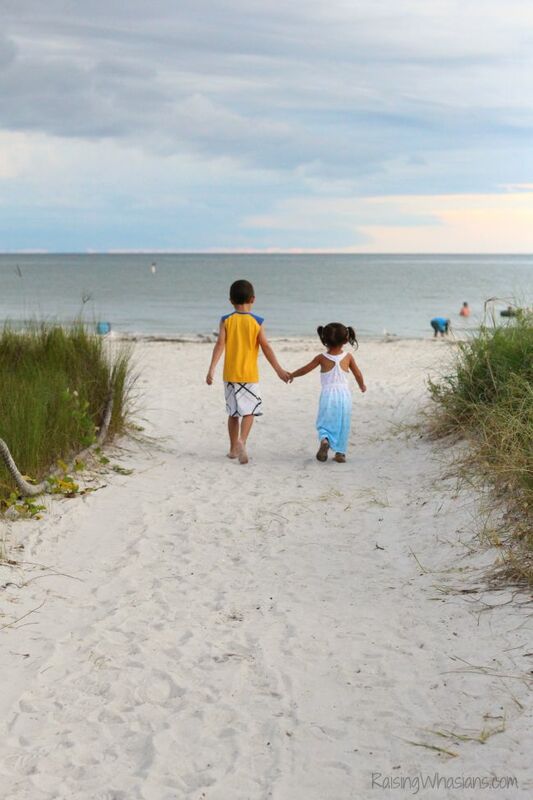 SANIBEL LOOKS LIKE A GREAT PLACE FOR A FAMILY GETAWAY! I just want to go to the beach! I miss Florida so much. Will have to visit Sanibel one day! We visit Sanibel/Captiva a couple of times a year. It’s our favorite place!!! 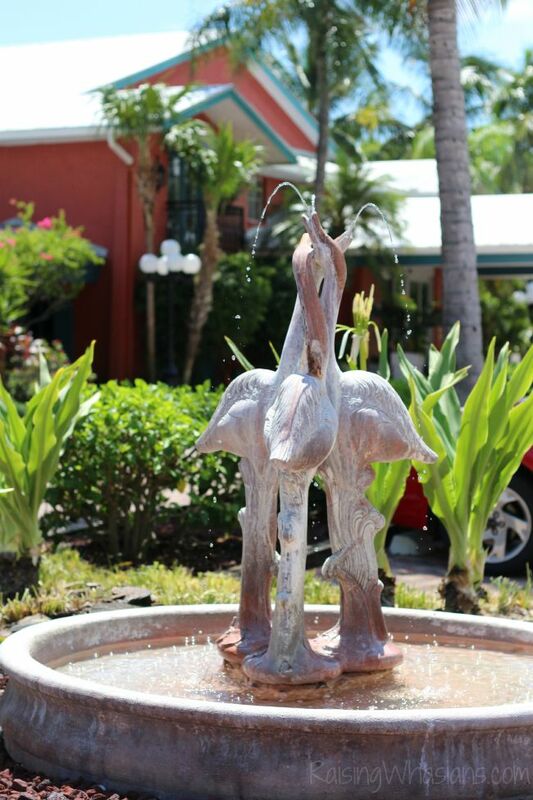 We always stop by the holiday inn for a drink by the pool and to just enjoy the beautiful grounds! It’s Definately our “happy” place!